Say what you will about school lunches, but it’s not every day you hear about public schools winning an award for how healthy their meal programs are. Prince George’s County Public Schools can now stake that claim. The second largest school district in the state of Maryland, Prince George’s County Public Schools have gained national recognition as 13 of its 208 schools and special centers achieved either Bronze or Silver-level awards in the HealthierUS School Challenge (HUSSC) by the U.S. Department of Agriculture (USDA). Sponsored by the USDA Food and Nutrition Service (FNS), the HUSSC is a voluntary national certification initiative for schools participating in the National School Lunch Program. The initiative recognizes schools that are creating healthier school environments and promote wellness through healthy meals, nutrition education, and physical activity. In a county that has seen the largest rate of weight-related chronic diseases in the state overall and is looking to turn that around, the PGCPS district chose to implement a wellness program that would provide safe and healthy learning environments for all students and procedures to ensure that students receive consistent information and education regarding proper nutrition, increased physical activity, and benefits of healthy lifestyle choices throughout the school, classroom, and cafeteria. 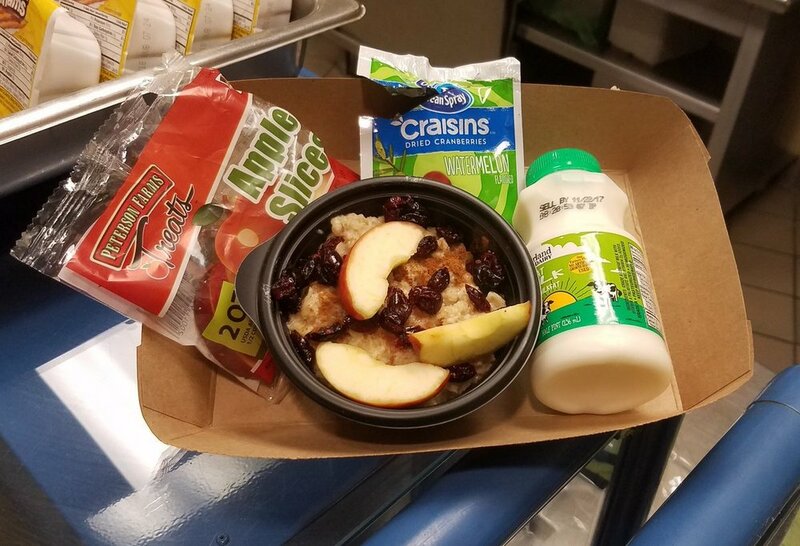 That commitment offers PGCPS students meals that consists of fresh fruits and vegetables, salads, 100% fruit juices, fat-free or low-fat dairy products, and such offerings as turkey wraps, yogurt, vegetable rice pilaf, and other healthier choices. The Maryland State Department of Education (MSDE) and the USDA commend these schools for their leadership and teamwork to improve meal quality and for promoting their physical activity program. To acknowledge their achievement, each school will receive a HUSSC award plaque, a banner to display, and a monetary award. The names of the schools will be posted on the Team Nutrition HUSSC website. Since the beginning of the HealthierUS School Challenge in 2004, 370 schools throughout Maryland have received HUSCC awards, with some schools receiving multiple awards. Prince George’s County will be the last public school district in Maryland to receive HealthierUS School Challenge recognition. The USDA initiative has been discontinued, effective July 1, 2018. For more information on Maryland’s School Meals Programs, contact MSDE’s Office of School and Community Nutrition Programs at 410-767-0199 or visit www.eatsmartmaryland.org.